A Dallas construction worker suffered a fatal accident while working on a third-story balcony of an apartment complex that lacked proper protection from his employers. 44-year-old Jorge Carrion Torres, who had been working on the job for a month at the time of the incident, was applying stucco to the unguarded balcony when he fell and was killed. Torres’s employers, Design Plastering Inc. and Design Plastering West LLC, were cited by The U.S. Department of Labor’s Occupational Safety and Health Administration for “eight egregious willful and four serious violations” on November 10 with fines estimated to be $407,400. Prior to this citation, Design Plastering had been cited with seven others also regarding fall-related dangers. “When an employer fails to put up a guardrail or scaffolding, or doesn’t provide personal fall-arrest systems, anyone working at a height of six feet or more is defenseless against a fall. OSHA will not tolerate this kind of employer behavior,” said Assistant Secretary of Labor for Occupational Safety and Health Dr. David Michaels in a press release. 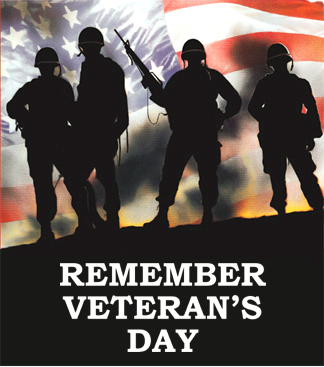 The attorneys and staff of Michael J. O’Connor & Associates would like to thank all of those who have served our country, especially any veterans who have died in combat. We owe them a debt that we can never repay. In September, the Pennsylvania Department of Labor & Industry launched a new Workers’ Compensation Automation and Integration System (WCAIS) that was designed to create efficiencies in the process of filing a workers’ comp claim. Less than 2 months later, the new system is more of a headache for all involved. According to an article on Philly.com, system glitches have plagued the new system, causing hundreds of workers’ comp cases to be in limbo statewide. In some cases, injured workers and their attorneys have not been able to get hearings, in other cases court paperwork has disappeared. Some have not been notified of the decisions on their cases. All involved in the workers’ comp process are feeling the side effects, including lawyers, judges, employers, and employees. According to the article, State Rep. Brendan Boyle (D., Phila.) said he became aware of the problems last week. He said he would ask the state Auditor General’s Office this week to review the issues with the system. In the article, Labor and Industry Department officials said they are addressing many of the problems. Until all the problems can be solved, there is a backlog of cases at the Labor and Industry Department’s Bureau of Workers’ Compensation. 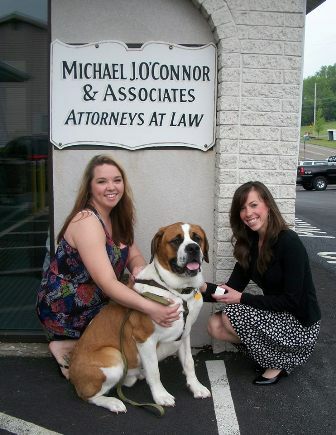 The attorneys and staff of Michael J. O’Connor & Associates had their pick of the litter last week when they announced that Jill Strunk of Pottsville and her Saint Bernard puppy, Boudreaux, were the winners of the “Cutest Pet Contest.” The content began in March when clients were asked to send a picture of their pets to the O’Connor Facebook page (www.facebook.com/mjoclaw). Pictures were posted on the Facebook page through May 1 and the picture of the pet that received the most “Likes” was named the winner. The prize was a brand new iPod Shuffle 2GB, an easy-to-use portable device for storing hundreds of songs. Congratulations to Jill and Boudreaux! Who said you can’t teach an old dog new tricks?